It is time to get globally recognized Project Management Professional (PMP). Many individuals have management experience but do not have the credentials to verify this fact. 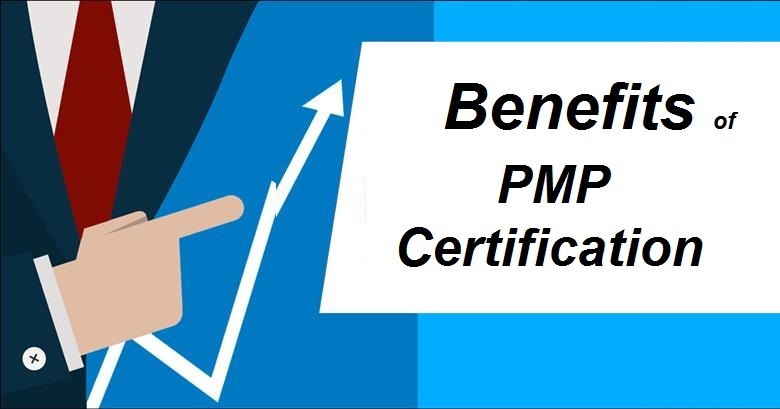 PMP is one of the most widely recognized and highly sought after certifications in the world administered by Project Management Institute, PMI USA. 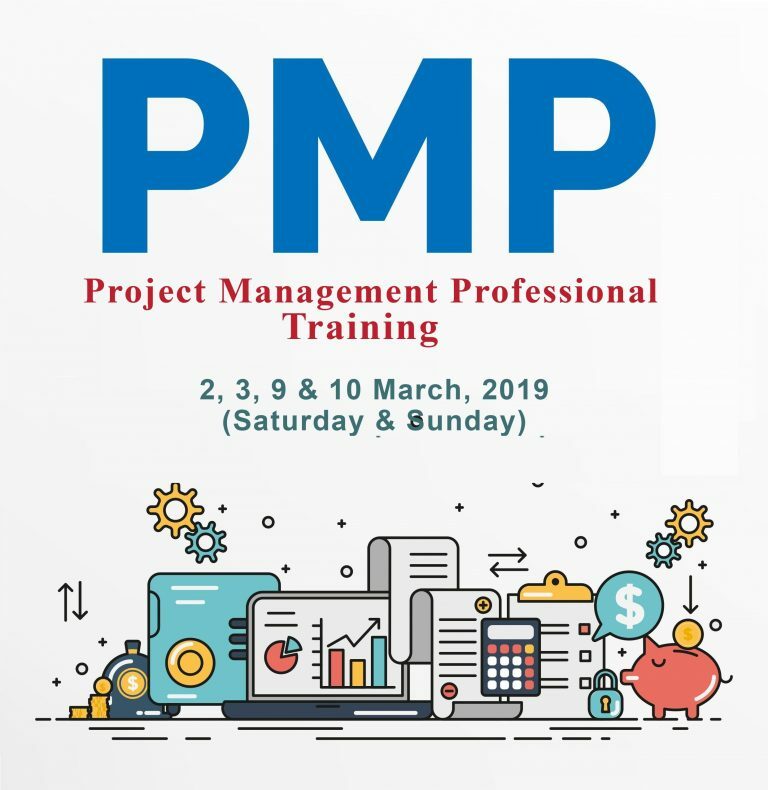 The PMP signifies that you speak and understand the global language of project management and connects you to a community of professionals, organizations and experts worldwide. Where others only conduct workshop, we go one step further by giving you the option of self- preparation using huge database of exam questions. There will be 15.7 Million new Project Management jobs by 2020 (Forbs). 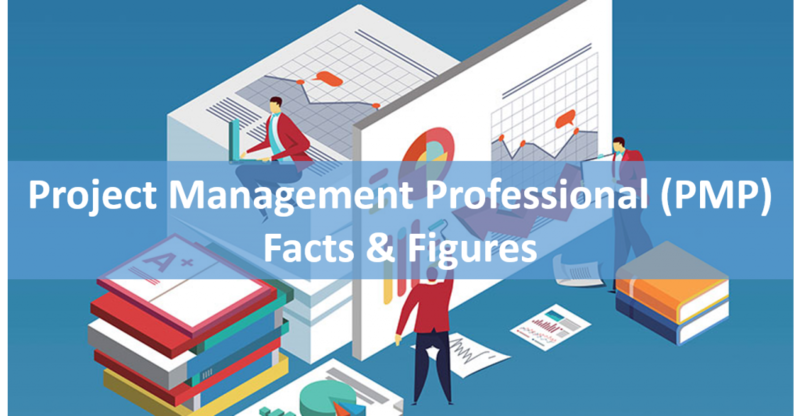 Economic footprint of the Project Management profession expected to grow by $6.1 trillion, in the same period. A whopping 37% increase in the output of project-intensive industries, such as Manufacturing, Finance, NGOs, Telecom, Engineering, Government Sector, Construction, utilities, business services, defense and IT. Weekend only program specially designed for working professionals. Many professionals have project management experience but do not have the credentials to verify this fact. The credential can be in the form of a degree or a professional certification. PMP is the premiere certification for professionals around the world administered by Project Management Institute, PMI. This is no ordinary local certification. This is recognized globally. Just search the Internet about PMP and see its popularity and demand. PMP holders easily get better salaries (20% increase) then their non PMP contemporaries. 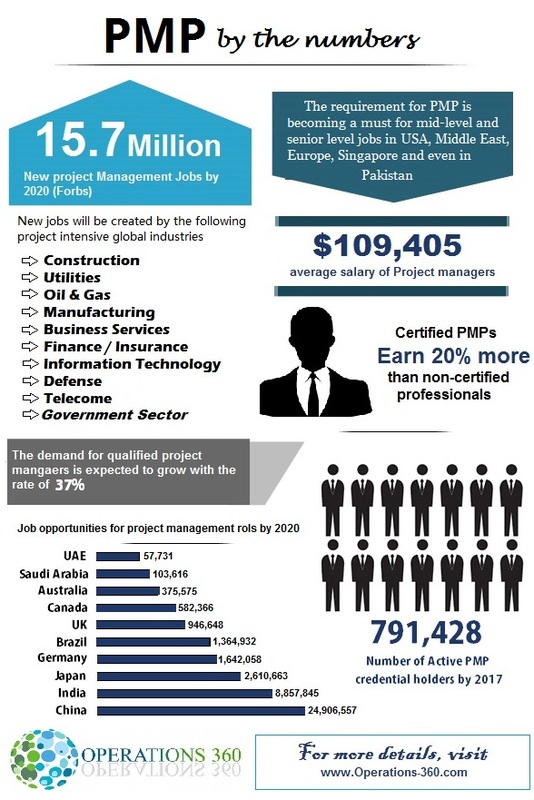 USA, Middle East, Europe, Singapore and even in Pakistan the requirement for PMP is becoming a must for mid level and senior level jobs. In order to be a certified PMP, the candidate must fulfill 3 pre-requisites and then successfully clear a computer based exam. This workshop is a preliminary preparation for the exam. Workshop will briefly cover PMBOK 6th Edition. What is covered in this workshop? This workshop is designed to fulfill the requirements of 35 PDU’s (Professional Development Units or contact hours of training) required by PMI USA for a candidate to be eligible for the PMP certification exam. 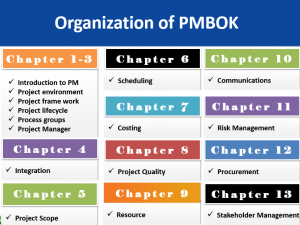 PMBOK 6th edition will be covered in depth with all knowledge areas PLUS additional information that others do not cover. Will I get a PMP certification after the workshop? Only PMI USA can give you the PMP certification, after you clear their exam. However, You will get a certificate of completion at the end of this workshop. That certificate also acts as a document stating that you have completed one of the three pre-requisites to sit in the exam. This workshop fulfils one prerequisite out of three (listed next), required to appear in the certification exam. Will I be ready for the exam after the workshop? No. This workshop is aimed at polishing your concepts about project management. At the end of the workshop your foundation will be on sound footing. After the workshop the candidate needs to practice mock exams to be fully prepared to take up the challenging certification exam. This may take around 2 months or more depending on your study habits. What is the role of exam simulation testing in this workshop? Many other consultants / training organizations offer similar 4 – 10 day workshops. While these workshops claim to prepare the candidate for the exam, truth cannot be further from the reality. Any workshop including ours is only useful in creating the foundation for the candidate. The next step is extensive practice that requires discipline and time. This is where others fail and we take off. Operations360’s custom designed exam simulator gives our candidates the extra punch needed to appear in the certification exam. What are the 3 pre-requisites for PMP certification? University degree (Bachelors or Masters) although high school certificate holders with considerable job experience are also eligible. Job experience of 4500 hrs or 3 years for degree holders. When is the exam held and where can I attempt it? The exam can be attempted any time of the year at designated Prometric testing centers all over the world. In Pakistan these centers are located in Islamabad, Lahore and Karachi. We suggest that you attempt the exam only when you are ready and prepared for it. What is the PMP certification exam fee? The fee for the exam is US$ 405 (members) or US$ 550 (non members) payable to PMI USA. It is advisable to become member to reduce cost. A registered student can become a member of PMI USA for US$ 32, while a professional can become a member for US$ 129. In case you become a professional member the exam fee is (405 +129 = 534). If you are enrolled in an evening program such as MS or PhD, you can avail student membership, which means a total cost of US$ 437 (exam + membership) for the certification. Membership charges are annual. You may decide to renew the membership annually or not without any affect on your PMP credentials. I have heard PMP certified individuals need to get re certified every few years? This is too much effort. After careful research we have come to the conclusion that most PMP training workshops don’t result in the candidate appearing for the certification exam. They don’t feel confident enough. We found out the reason and our 2-step program has been designed to effectively address this problem. We don’t just preach innovation we practice it as well.